MCRRC is a non-profit organization. The income we receive from membership dues and race registration fees is used to fund some of our training programs and our low-key race series as well as to administer the club in a manner that benefits our members and the community. Our community service efforts include funding porta-johns along some of our popular running trails, providing equipment and staffing to youth running events at discounted rates and offering scholarships to promising high school runners. 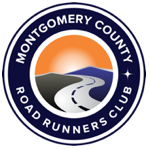 Donations beyond the cost of membership are accepted and welcomed and will be used to continue our efforts to promote running as a healthy lifestyle choice in Montgomery County. Donations are tax deductible (to the extent allowed by law).